Tastefully designed and beautifully made - perfect for the Mini enthusiast! 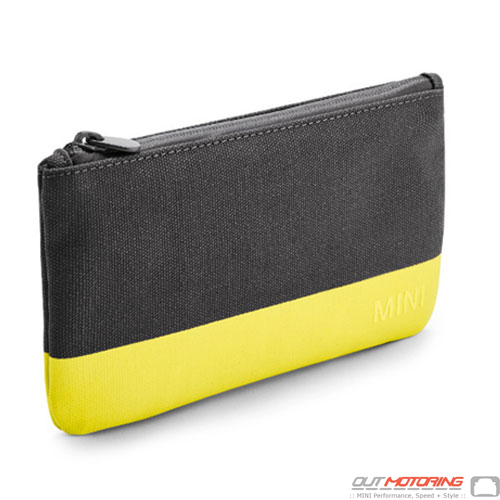 Sleek and small with a water-repellent zipper this small MINI pouch is made in a fantastic rubber accent in lemon to complement the cool gray, wax-finished material. MINI lettering is printed on the bottom right corner of the pouch's front in the color block. Polyester lining. Also available it White/Aqua and White/Black!